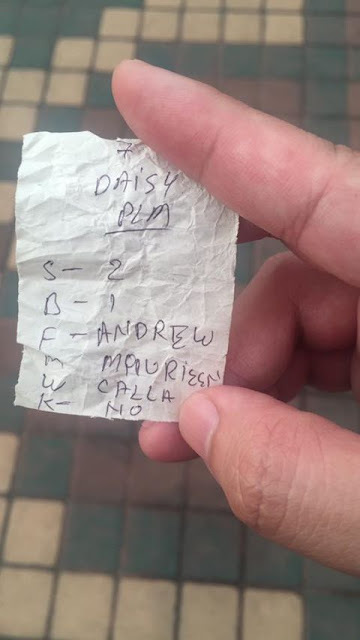 Imagine if you’re a huge fan of Jason Mraz, attends his concert and holds up a banner that says “Please sing Lucky with me!” The next thing you know, he sees your and banner and calls you up on stage. That was what happened with one lucky fan that evening. 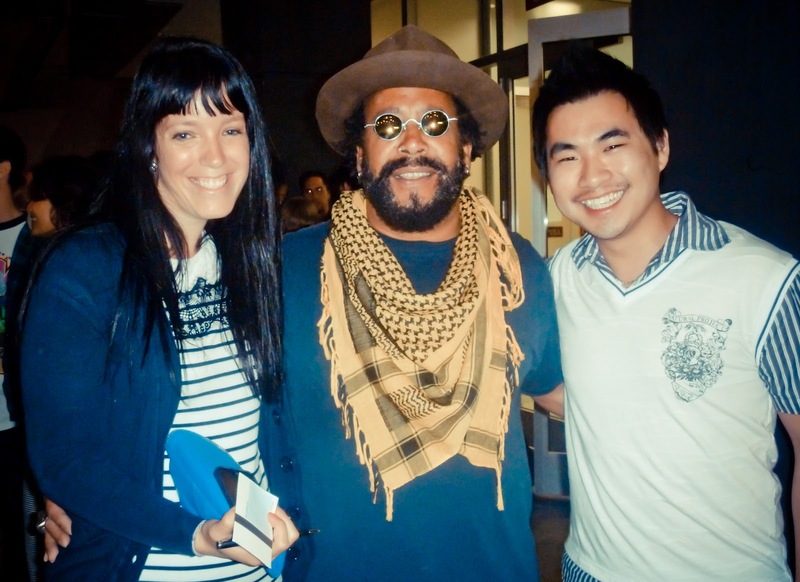 An Asian girl by the name of Esther scored big time when Jason Mraz saw her sign and invited her on stage to an impromptu duet session to cover Colbie Caillat’s part for the song “Lucky”. 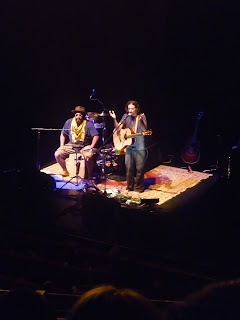 As nervous as the whole audience in Civic Theatre was for Esther, she definitely surprised everyone including Mraz himself with her steady vocals. Of course, after the show i managed to find out that she was Korean. And we all know one fact for sure...Koreans can sing. Well, not all at least. 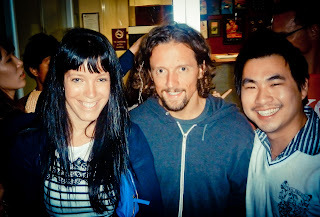 I actually didn’t know that Jason Mraz was performing in Auckland until my flatmate (who is a harcore Mraz fan) told me about it. While I have to admit that i’m not a massive fan, i do enjoy his music and know that he’s a great entertainer when performing live- especially after watching several live performances of his on Youtube over the years. And it was worth spending that $150 for a pair of tickets because Mraz definitely wowed the crowd with his performances and his sense of humour. This is also by far one of the simplest concerts i’ve ever attended with no stage props and crazy lighting effects. Just instruments and mad talents by Mraz and his side kick, Toca Rivera. No opening act, no breaks in between songs, no costume change, just two of them having fun on stage and serenading the crowd for 2 ½ hours straight. In fact, they were so good that at one point during the show some random guy in the crowd yelled out “Jason I’m so horny!” In return, Mraz dedicated one of his songs to “that guy who is horny on the balcony” which got everyone laughing. Despite having released three official studio albums already, about ½ of the songs he sang that night were unreleased or new songs from his upcoming new album. He did sing a few of his hits like You & I, Life is Wonderful, Plane, Love For A Child and the overplayed hit “I’m Yours” which got everyone excited when he strummed the first two chords. Perhaps the highlight of the evening for some of us wasn’t during the show but after it. Both Calla & I decided to try our luck and see if we can get a chance to see him closer. We were only expecting him to drive by with his windows down and waving at us for a few second (like most glam celebrities) but after waiting patiently for an hour or so looking at the car park exit, we got an unexpected surprise. Jason Mraz coming out of Civic Theatre! 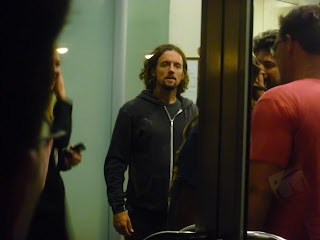 Then we got our hopes a little high up when a guy (presumably his manager) came out and said Mraz wanted to meet all of us but in order to do so, there are some "ground rules". No crowding or pushing around him otherwise, the night is gonna end very soon. And patience definitely did pay off. I’m not sure if both Mraz and Rivera stayed until the last fan left but everyone who was waiting around managed to get pictures, signatures and even a quick chat session with them. Their down to earth personality and friendliness definitely left everyone star struck as all of us went back home with huge smiles. 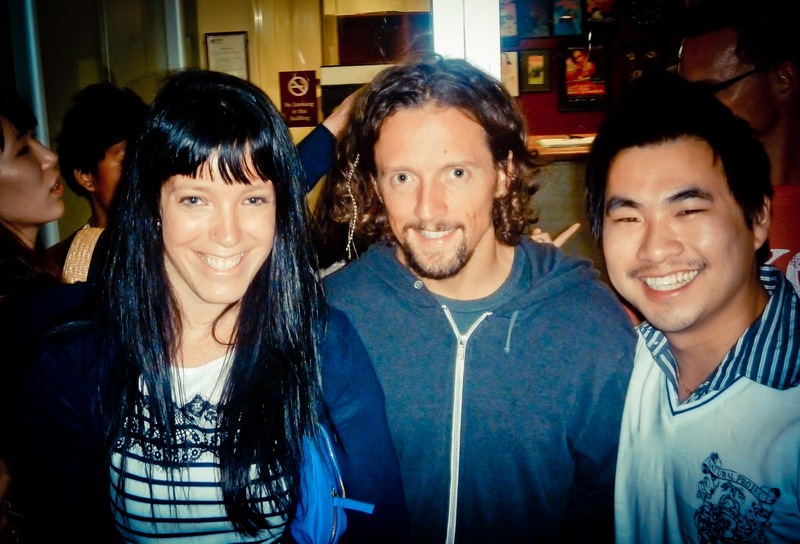 Jason Mraz "You Are Loved" is definitely a show worth catching if he’s performing in your town!